A well-functioning range hood can be a very tool for your kitchen. 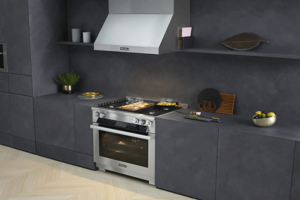 You will feel relaxed if your range hood works perfectly keeping your kitchen smoke free. But what happens if it malfunctions sometimes? You sure don’t want to see this scenery that your range hood is not functioning properly and your kitchen is filled with smoke! The major reason for a range hood malfunctioning is its filthy condition. 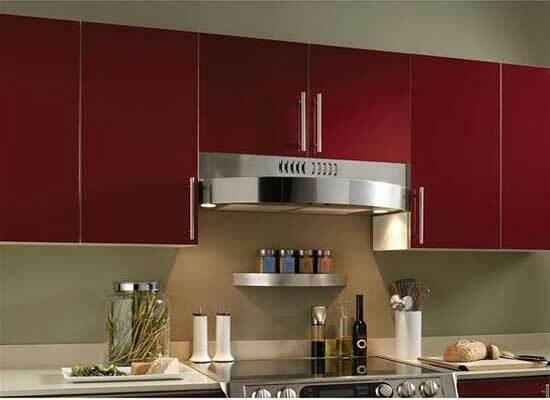 A range hood and its parts require regular cleaning and maintenance. But are you worried about how can you clean your range hood? Don’t worry. Believe me cleaning a range hood is not a tough task. Rather it can be said an easy task to clean it. You can clean your range hood if you know the proper way. For you, I am going to discuss here a detailed guideline on how to clean the range hood. So, let’s see. To run your cleaning mission on your range hood you will some tools and material. You have to collect them before starting cleaning. I have brought up below a precise list of those tools and material that you should have for your range hood cleaning process. 2. A large pot to boil water. In that purpose, you can also use a baking sheet provided that your range hood filter is relatively slim. 4. A degreasing dish soap that you think best suitable for your range hood cleaning. 6. A scrub brush or a soft towel. But make sure first that your scrubs brush or towel whatever it is, is not stiff at all. This process is very simple. To start cleaning of the range hood make sure you have turned off the unit and the stovetop is not turned on or hot. Then you may use a household cleaning degreaser spray to have a regular clean-up. But don’t forget to use the non-abrasive variety. Do not try to spray the cleaner upon the light bulb. Don’t spray also on any other electrical components. The air filter is a very important part of your range hood. It removes smoke and particulates from the air and pushes them outside of your house. Thus it keeps your house smoke free. Both of the air filters are easy to clean, remove and even replace. If your filter is metal made, just remove it first. Then put it into an appropriate container or a small bin having enough degreasing solution. Be sure that the degreasing solution can cover the filter perfectly. When all the grease is seemed to be dissolved, wash it in soapy warm water. To have good measure quickly, keep it on the rack of a dishwasher. Reattach it, when it is completely dry. On the other hand to clean a charcoal filter, remove it in the same way. The process is to some extent same. The main difference is you won’t be able to clean it completely. Rather it is better to replace the charcoal filter annually. So, whenever a charcoal filter is enough filthy just go through a replacement of it. You can clean the fan and its motor simply just removing them and applying a degreaser on them. But the important fact is that most of the time you cannot solve the problem of the fan and its motor just cleaning them. You may need to replace them to get rid if there is any major problem with them. The fan motor is durable enough and generally, it will not require any major maintenance. But you will need to examine it frequently when you go through checking of every part of your range hood. Because sometimes the motor, as well as its bearings, get exposed by excessive humidity or grease. Then it cannot function properly. You have to check the vent of your hood on a regular basis. It plays a vital role as it leads the smoke out of your home. Grease can fill up the vent. Then the function of your vent will be impaired and eventually it may cause a severe fire accident. You may also call a cleaning professional if think that it is not possible for you to clean up the vent or it is built up with the grease hazard. No doubt a range hood has a great role in a kitchen as it keeps your kitchen smoke and hazards free pushing them outside. So you should not show any negligence in cleaning maintaining it. You should clean all the parts of your range hood frequently to ensure its proper function. A regular cleaning can keep your range hood just like new. Cleaning a range hood is not a fun task. At the same time is not a hard task at all. You just have to know the proper techniques that I have discussed above. But remember it sometimes cleaning is not enough to solve the problems. You may have to replace some parts like fan motor if it cannot function properly.